Chronic Obstructive Pulmonary Disease (COPD) is a progressive chronic lung disease that, over time, makes breathing more difficult. Smokers and ex-smokers who are aged 40 or older are most at risk of developing COPD. People who have been exposed to dust and fine particles in their workplaces (such as mines and sawmills) are also at higher risk for COPD. Early diagnosis is important, so that treatment can be started to slow down the damage done to your lungs. If you are a smoker, the best thing that you can do is quit smoking. We identify and screen high risk patients by asking them 5 easy questions. Patients who answer ‘yes’ to one of the screening questions are booked for a spirometry test. Spirometry is a simple breathing test that measures how hard and how fast you can breathe air out of your lungs. It is used to diagnose COPD. The COPD program helps patients who have a diagnosis of COPD learn how to better self-manage their condition. 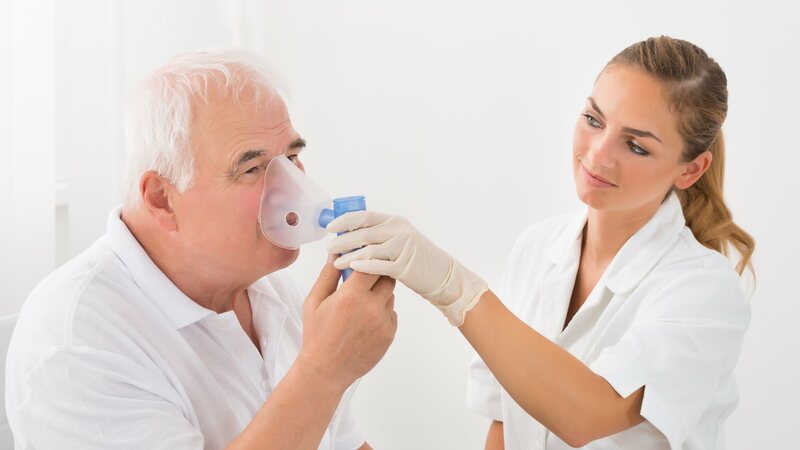 During program appointments, patients are offered COPD education, treatment options, lifestyle changes, inhaler techniques, an Action Plan and smoking cessation treatment.